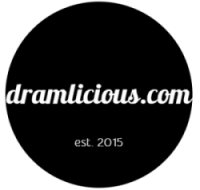 It’s St Patrick’s Day and we have one more Single Pot Still Whiskey to talk about, but before we do so, make sure to also check out my reviews of the Green Spot and the Green Spot Château Léoville-Barton. 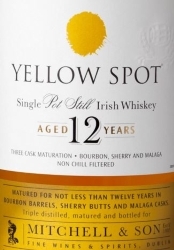 Alright, Mitchell & Son revived their Yellow Spot in 2012, after it was last bottled in the 1950s or early 1960s. Just like the original, this 12 years old bottling is vatted from a mix of Bourbon, Sherry and Malaga wine (a sweet fortified wine from Málaga in Spain) casks. Fruity and sweet with dates, apricotes, bananas as well as heather honey, vanilla and caramel sauce. Almonds. Hints of coconut oil. Touches of grass and hay in the background. Smooth and rather sweet. Again sweet fruits and grassy notes. A bit of vanilla. Medium, sweet and fruity. Coconuts and lemons balanced by a whiff of bitter oak. A very nice and approachable Irish Whiskey. It lacks a bit of complexity, but the sweetness from the Malaga casks is really pleasant.